Piran Caravan Storage now offers a touring caravan sales service to our customers should they choose to upgrade or sell their touring caravan. Click here for further details. For your convenience we offer a complete range of caravan valeting services (supplied on-site) to help you keep your caravan spick-and-span and in the best possible condition. 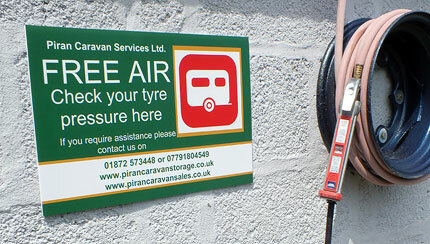 Piran Caravan Storage staff are Auto Glym trained caravan and motorhome valeters using the range of high-quality Auto Glym cleaning products and equipment. Washing and waxing your caravan prior to storage removes corrosive road grime and salt deposits which can degrade and dull your caravan's exterior over a period of years. Take the hassle out of housework, and ensure your caravan is clean and gleaming, ready for use the moment you open the door. What a way to start your holiday! A full exterior shampoo, long-lasting canauba-based wax, tyres dressed, wheels cleaned, black streaks removed (where possible), all door handles and exterior fittings brought back to black. Deep clean and sanitise wet room and kitchen, spot clean and vacuum carpets and upholstery, steam clean of hard flooring, clean cupboard interiors, polishing of all hard surfaces, windows cleaned. A full exterior conditioning shampoo followed by a long-lasting canauba-based wax for a superb glossy finish, tyres dressed and black streaks removed (where possible). Also available is a Fenwicks Overwintering Wax - for use prior to long periods of storage. Deep clean and sanitisation of the kitchen and wet room, spot clean and vacuum of all carpets and upholstery, window clean, cleaning and dusting of cupboards/window sills and tops, and mop/steam cleaning of all hard flooring and air freshening. Refresh and rejuvenate all your carpets and soft furnishings, we use a premium sanitising detergent and powerful carpet cleaner to remove all dirt and stains (where possible), we then place a powerful dehumidifier in your caravan for a minimum of 24hrs to ensure all moisture is removed. 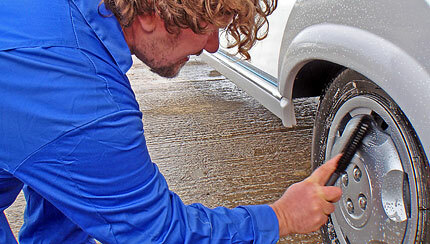 Regular servicing is needed to ensure the continued safety and good condition of your caravan. 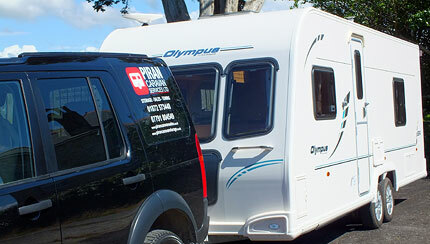 Piran Caravan Storage have negotiated an exclusive discount for our customers on all caravan servicing and repairs undertaken by Penrose Touring, a highly regarded caravan and motorhome repair specialist based in Redruth. For further information please contact us. If you would prefer to deliver or collect your caravan or motorhome to and from our facility we have a secure compound intended solely for this purpose. 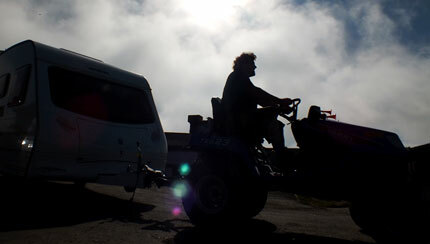 Designed with easy access in mind this both avoids the need for you to tackle difficult manoeuvres and ensures that it is only our experienced staff who park caravans in the main secure area. This facility is also available for out-of-hours movements. 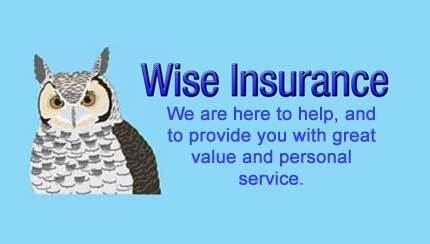 Take advantage of large insurance premium discounts, by contacting Lisa at Wise Insurance (0208 905 6665). They have several tailor made insurance policies specifically for Piran Caravan Storage, acknowledging the low risk to your caravans whilst in storage at our facility. 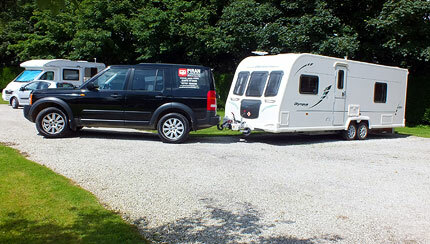 Also, for those that exclusively use Piran Caravans to tow their caravan, the policy takes into account our extensive experience and further discounts apply.